If you’re looking for a very different, yet exciting and adventurous activity for your next trip to Florida, consider heading to the Peace River for some good old fashioned fossil hunting. 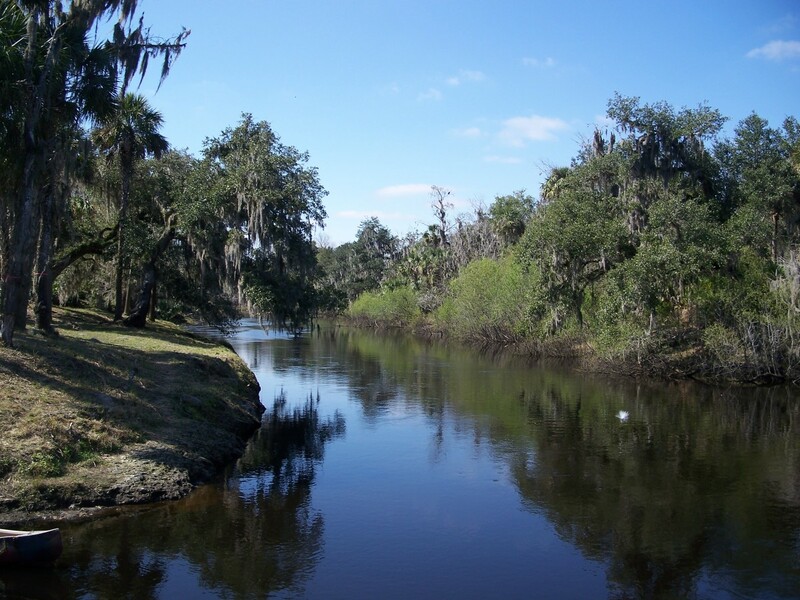 The Peace River located in southwestern Florida is a virtual graveyard from prehistoric times and includes fossils of the giant carcharodon shark otherwise known as megalodon. Other finds may include the fossilized remnants of the mastodon, mammoth, camel, horse, bison, whales, and alligators, in addition to a host of other creatures. If you've never heard of megalodon then you may be surprised to discover that this shark was one of the largest and most powerful predators to ever grace this planet. How does 55 to 60 feet in length grab you? And you thought a great white shark was big and mean. Luckily for the great white this monster of the ocean is extinct, having disappeared roughly 1.5 million years ago. Before I digress into the history of the megalodon, let’s take a trip down to the Peace River and see if we can’t dig up one of the giant 7-inch teeth that occupied the gaping mouth of this predator. Undoubtedly, finding one of these teeth is like finding the holy grail of shark fossils. 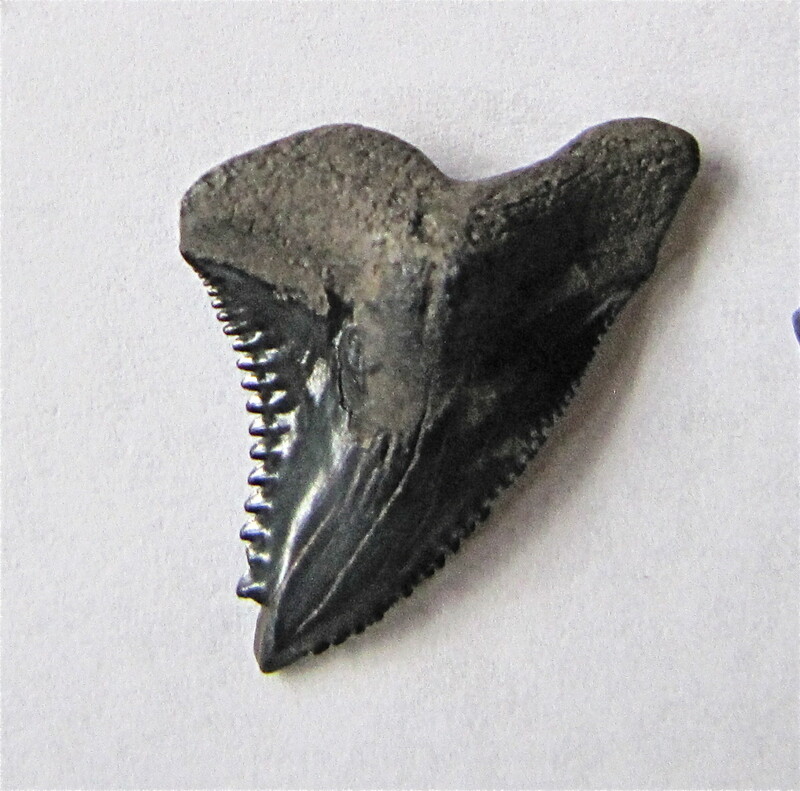 While finding one of these giants is rare, it is not uncommon to find fairly large fossilized shark teeth and other prehistoric fossils, such as mammoth teeth and large mammal bones. This area is unique in that it has undergone numerous cycles alternating between being dry and submerged under water, so both land and sea creatures once inhabited this area. The Peace River is essentially cutting a path down through the various layers of sediment to expose the alternating layers of both land and marine fossils. 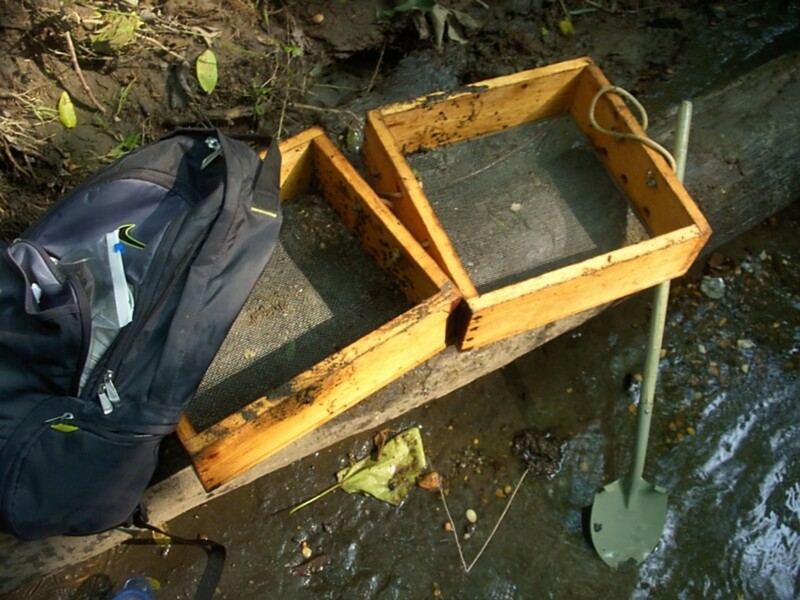 I can assure you that once you start dredging up the mud and silt from the river bottom you are not going to want to leave until you find something big. 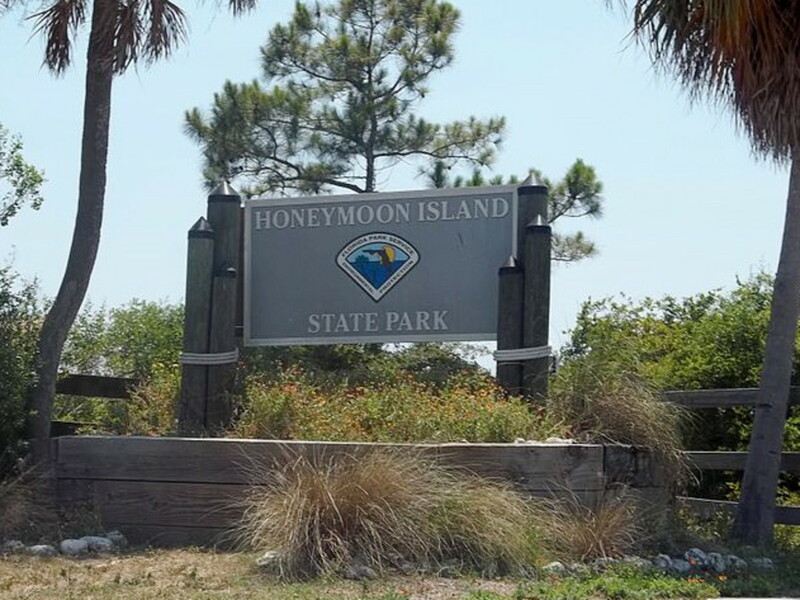 This is a great way to add an adventurous and educational outing to your Florida trip. So how does one go about doing some fossil hunting in the Peace River? Let look at the options. 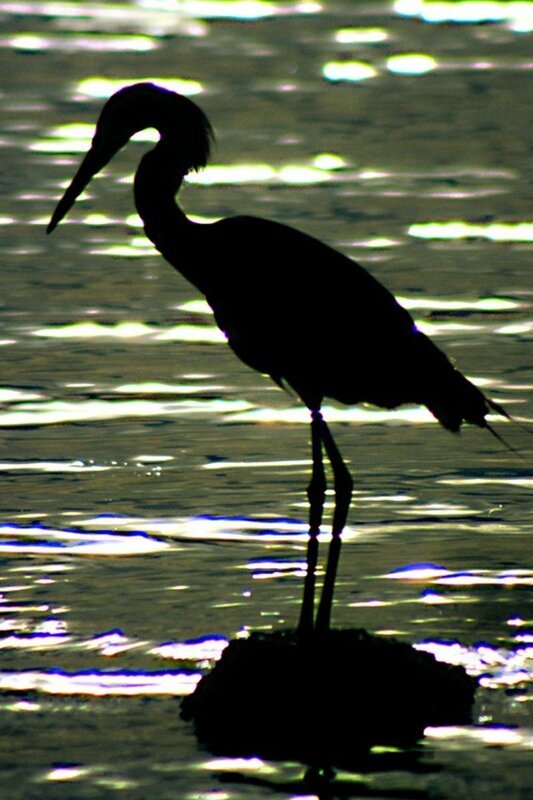 Located in southwestern Florida the Peace River runs for 106 miles from northeast of Bartow through Polk, Hardee and DeSoto Counties before emptying into the Charlotte Harbor estuary near Port Charlotte. It makes for an easy day trip from either Fort Myers or the Tampa/St. Petersburg area. See the map at the bottom of the article. There are a few options available to you for fossil hunting on the Peace River, including hiring a local guide. For our trip we utilized the services of Mark Renz, who along with his wife Marisa started Fossil Expeditions back in 1990. They were pretty much the first to start offering fossil expeditions on the Peace River, and no one knows this river better than Mark. If you don’t want to hire a guide you can always venture out on your own, but make sure you are aware that a permit ($5) is required if you are fossil hunting on any state owned property that the river or creek runs through. While fossils can be found almost anywhere along the Peace River, the best locations are from Wachula south to Arcadia. Most of the areas that are readily accessible to the general public, such as boat launches, have most likely been pretty well picked over so it pays to either rent a canoe or kayak and head away from these areas or go with a guide who can take you to the spots that are a little more remote. As a general rule, the best fossil hunting conditions are when the water level is low as it provides for better clarity and visibility. 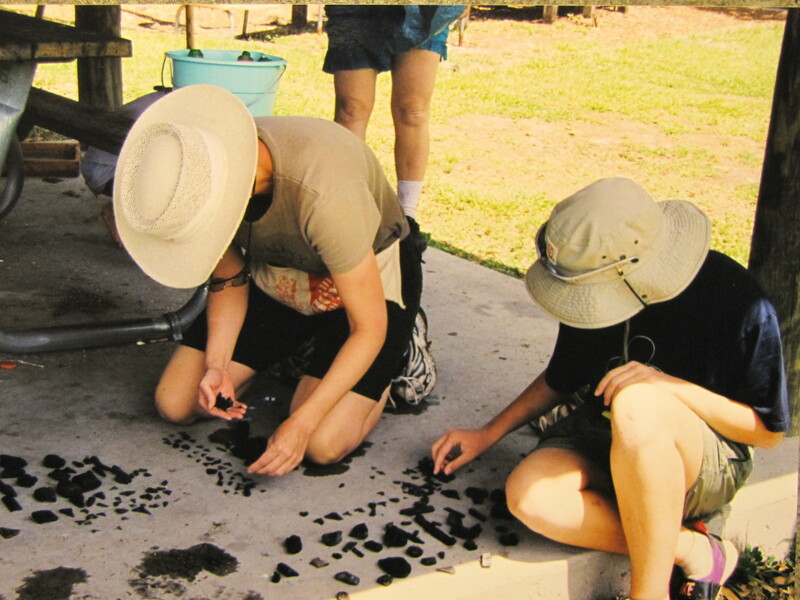 Professional fossil guide service offering shark, mammal and reptile fossil collecting day trips in SW Florida. The books we authored are available in our book store and we have an on-line museum to assist you in identifying your fossil finds. Once you are on location it’s time to get wet. The fossils are not just sitting on the river bank waiting to be picked up. You will need a shovel, a screen, and the desire to dig. The best advice that Mark gives about searching for fossils is to pick a spot and just keep digging. The deeper you go, the more likely that you will find something unusual. The Peace River meanders along at a very slow pace, so don’t worry about getting swept away in the current. In fact, if it happens to be a typically warm to hot Florida day this makes for a great way to stay cool. This slow plodding current is part of the reason that the fossils are so well preserved here in the Peace River. But, as always, if you are taking your kids along you will want to always remain vigilant and make sure they do not wander too far. We did this trip with our kids and some nephews, and I can tell you that the look on their faces when they dug up a large fossilized shark tooth was priceless. I don’t know if they still do show and tell in school these days but what a great object to bring in if they do. 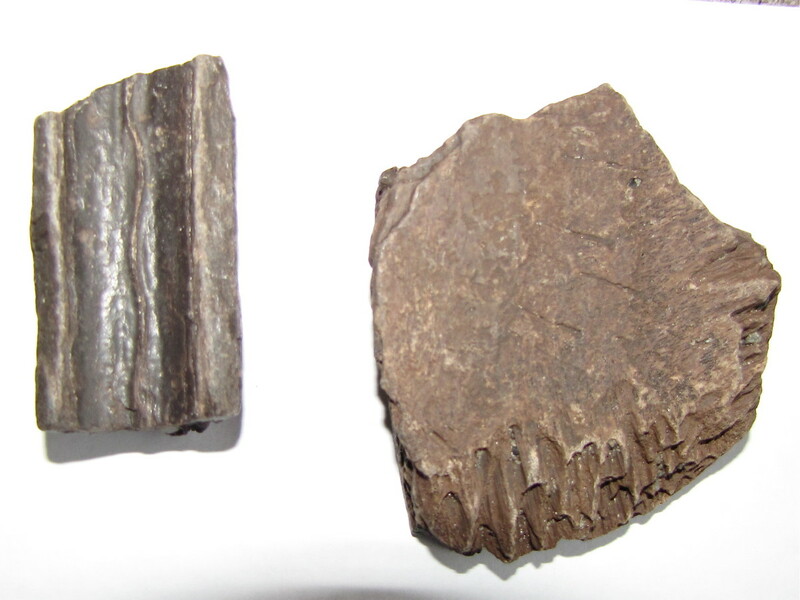 Fossilized horse tooth and a mouthplate (unknown species). 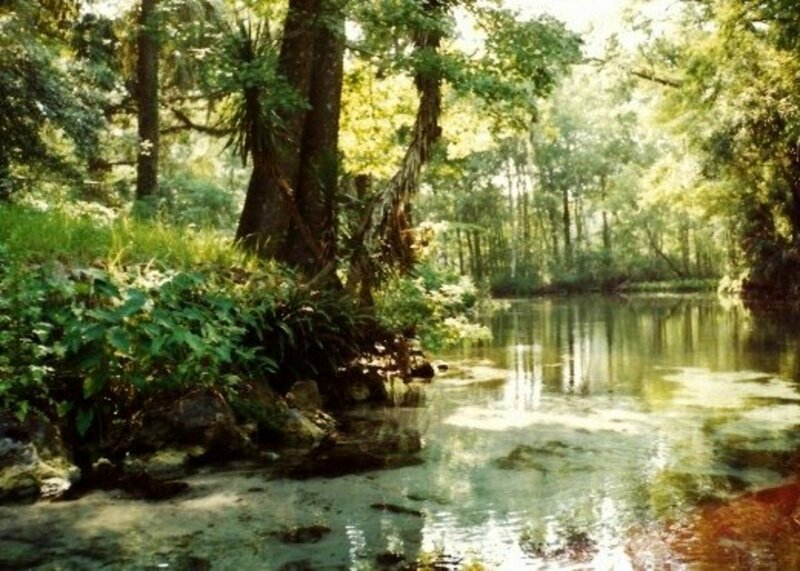 Whenever fossil hunting in Florida one needs to be aware of their surroundings and that means that when we are in the rivers and creeks concentrating on digging up fossils we need to remember that we are in their element. By "their", I'm referring to the snakes, turtles and alligators that call the waterways of Florida home. To be honest, on our day spent in the Peace River we did not see any alligators or snakes, but that does not mean that they are not there. Just be vigilant and have a great time. 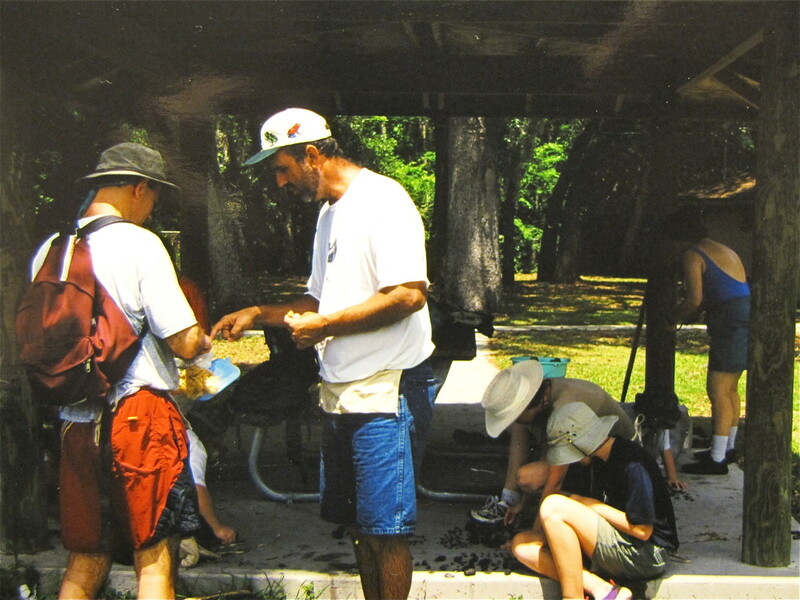 While fossil hunting may not be for everybody it’s a great alternative to the usual Florida activities. Both you and your kids will have some great stories to tell not to mention some great souvenirs to bring home with you. We didn't find the "big one" this time, but we did come home with a great assortment of fossilized bones and shark teeth and we can't wait to return. Happy hunting. Hi Jeff. Thanks for stopping by. Great story. We have nothing but fond memories of our time fossil hunting in the Peace River searching for that elusive Megalodon tooth. Hehe, yes, Megaladon-mania these days. The only ones I have of that are an unimpressive fragment and one some kid sold my dad in the 70's for a footbball (someone like the kid's dad unfortunately probably missed it out of his collection, but they're all deceased now with no heirs, so I'll keep it to make cast replicas out of!). What I HAVE found at Peace, at a little tucked away boat ramp only used several times a day by people who know it (which I need to find again) were oodles of little fossils that, because they come out of the silt or clay fresh, they aren't sand blasted to ruin like Venice seashore finds. 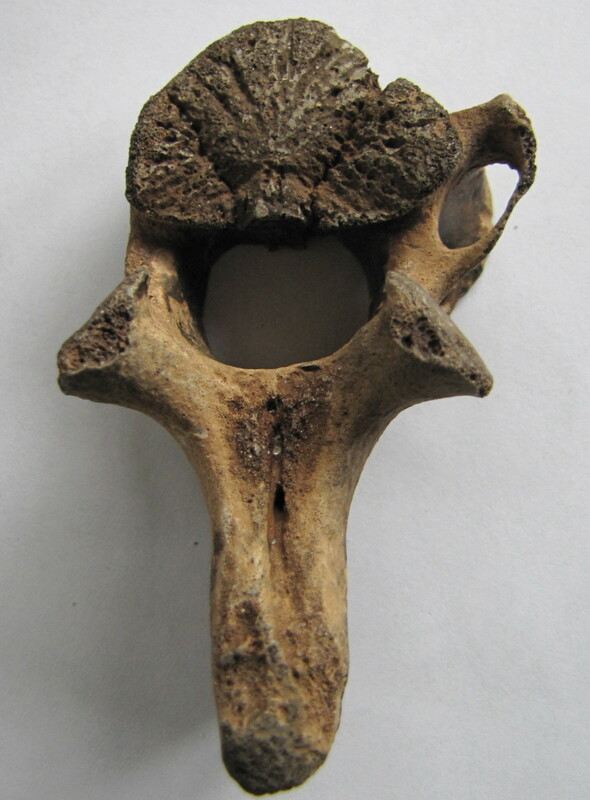 Little femur or some small animal with little holes for blood vessels just showing to the greatest detail under magnificatuion, yet totally replaced by minerals and heavier than bone. Black gold in that thar river. I had an amazing day there when Mexican migrant workers came up on me and looked down from a bit of a ledge (the river gouges a tiny micro-canyon in places) with tree canopy soaring above high yielding piercing, gorgeous beams lighting the shade just enough to run off mosquitoes and let you see. 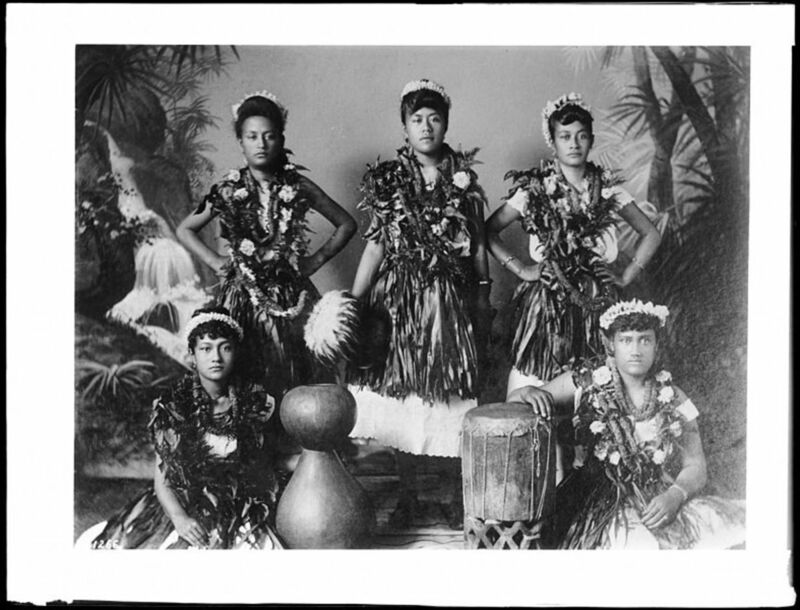 The ladies and some of the kids were wearing handmade garments artfully made from fabric of repurposed items, intentionally patterned with alternating colors to appear authentic homemade fabrics. I felt like I transported back in time and native Americans with handmade fabric clothing came up on me in 1501. Closest thing to it these days. I don't speak Spanish but we all laughed and understood each other and the kids loved having a crazy local guy digging out material from the bottom offshore and ferrying it to them on a surf board tied to me, so they could find little goodies. Hi Alun. 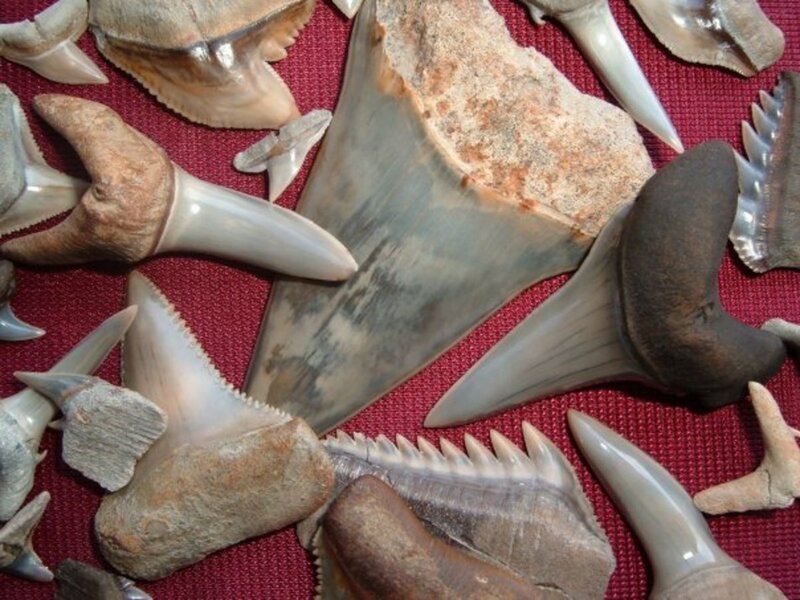 Yes, the search for the elusive Megalodon tooth. We have searched and searched but have not found one yet. Perhaps next time. I must say I much more enjoy hunting for fossils and shark teeth or kayaking than fighting the crowds at Disney. Very useful article Bill. So many tourists visit Florida for the obvious reasons (sunshine / Mickey Mouse), but for those who have an interest in something else such as natural history, or in this case palaeontology, this would really add a special and different experience to the vacation. If ever I come to Florida again, and have the time, I would definitely strongly consider taking part in the fossil hunting trip you describe (but only if I'm allowed to take my finds out of the country!) Cheers for the article and for the day-trip idea it contains. Hi Jacqueline. Thanks for stopping by to read. And welcome to HubPages, it's a great community. If I ever retire down to Florida I will look up one of these clubs. Have a great day. Our family loves this pastime....there are local clubs that charge minimal fees to join and benefits are out of this world! Hi Sheila. I can tell you that it is great fun. We had such a good time on the day that we went fossil hunting on the Peace River. I think you would love it! Thanks for the read, comment and of course the vote. Have a great days. Hi Prasetio. Thanks for stopping by to read. If you ever visit Florida you can give this a shot, it is great fun. Appreciate the vote, have a great day. Hi Margaret. 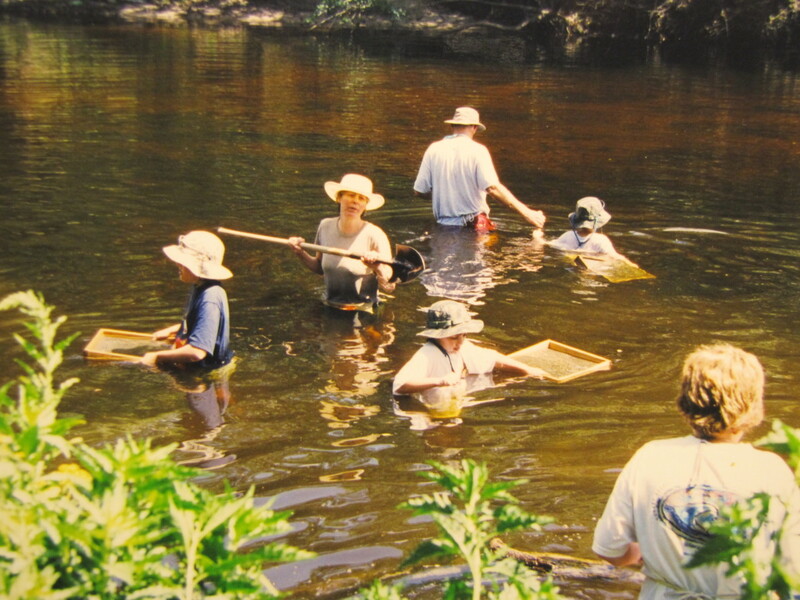 The Peace River is one of the premier sites for fossil hunting in Florida. We also love to comb the beaches looking for shark teeth but the ones you find on the beach tend to be smaller. Hi Suzette. My sister actually discovered this years ago and then we went down to give it a try. It is great fun and so rewarding when you find a large shark tooth. Thank you for reading and have a great day. Hi James. Glad you enjoyed the hub. The more you find the more addicting fossil hunting becomes. The megalodon must have been one scary shark. Hi Peggy. 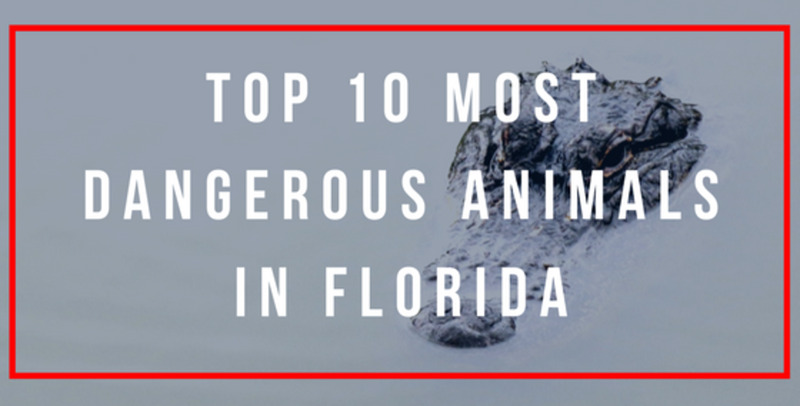 Give it a shot on your next trip to Florida, I think you'll find it's a lot of fun. Thank you for reading commenting and the vote and share. Very informative hub and I learn many things from you related with fossil hunting. Good presentation and I love the pictures as well. Good job, my friend. 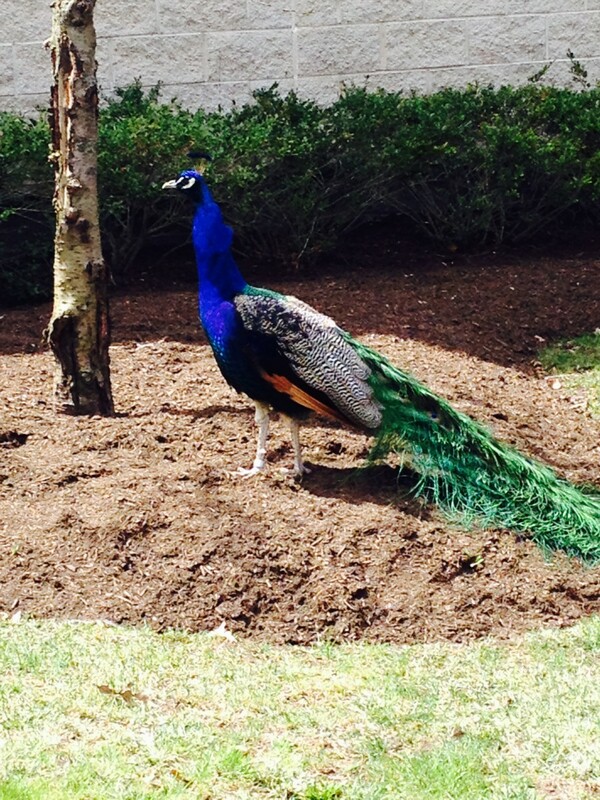 Thanks for writing and share with us. Voted up! I'm familiar with the Peace River. I camped on it a few years ago, but never realized that were fossils there. Very interesting and well put together hub - voted up, interesting and useful. This is quite interesting. I live in Florida and did not know about this at the Peace River. I think it is neat that you get to keep the fossils you find. Great photos also to go along with this article. I enjoyed reading this. Very enlightening. What a fascinating hub, I used to do a bit of fossil hunting on the Dorset coast in England, and most of the time all I would find were ammonites and other small sea creatures. Finding the teeth of megalodon must have been awesome, their name literally means 'big tooth' the mostly aptly named animal of all time! Great stuff. Of all the things I have gotten to do and see in Florida, fossil hunting was not one of them. 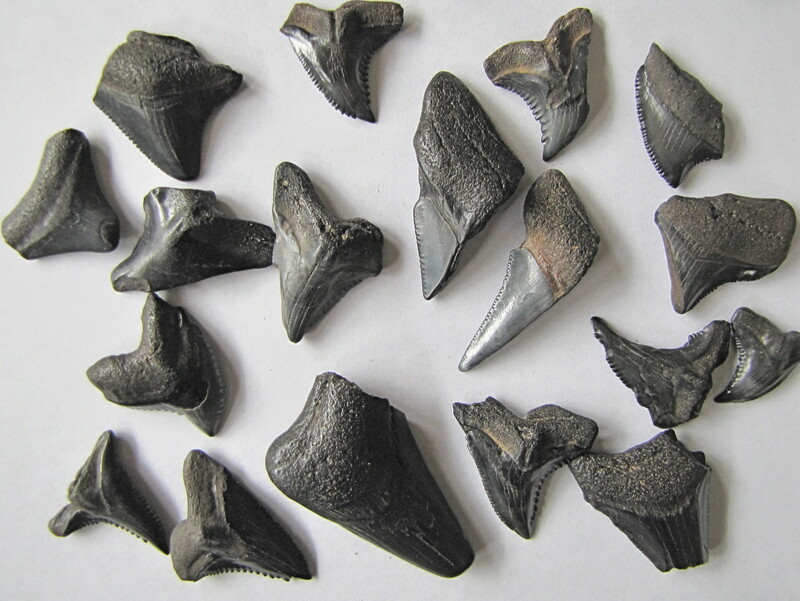 However my uncle used to regularly find sharks teeth on the beaches and amassed quite a collection of them. Thanks for telling us about this interesting way to find genuine fossils. Up votes and will share. Hi Nancy. Give it a try, you will love it. We had a great time searching for fossils in Peace River. Thanks for reading and commenting. Happy fossils hunting. 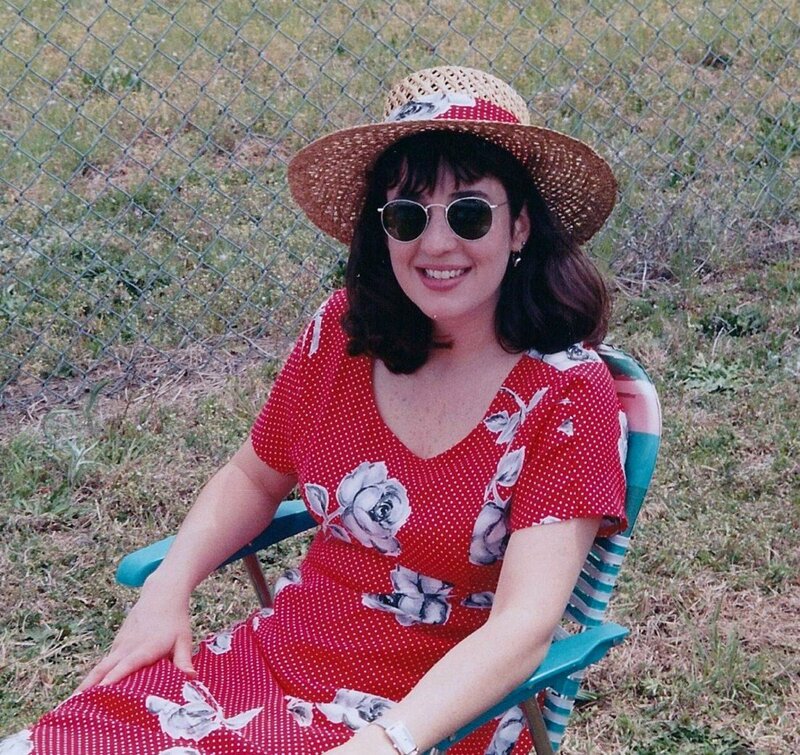 I have been to the dig site for Florida Calcite in Okeechobee but never searched for fossils. What a cool hub. Thanks we have something else to do when we visit. Hi Lenzy. We certainly were concerned also about gators but Mark Renz assured us that he has never had anyone get get hurt while hunting fossils. The Peace River has a plentiful food supply for the gators so they are more apt to ignore us. Because we had kids with us though I kept scanning for anything unusual. Most of the time the visibility in the water is very clear and not that deep so you can see what's lurking below. In the area that we were in the water was a little deeper than normal but we had no problem. It was great fun. Thanks for reading and stopping by. Thanks for the tip molometer. I'll make a note of that for when we get to GB. Hopefully soon. It is a great read thanks for sharing it with us. We have some great places in Britain for fossil hunting. Lyme Regis on our Jurassic coastline is great for a visit if you get the chance. Thanks molometer. We had a great time doing this and brought home bags full of fossils and shark teeth. It something a little different but great fun. Thanks for reading and the votes. What a great read. 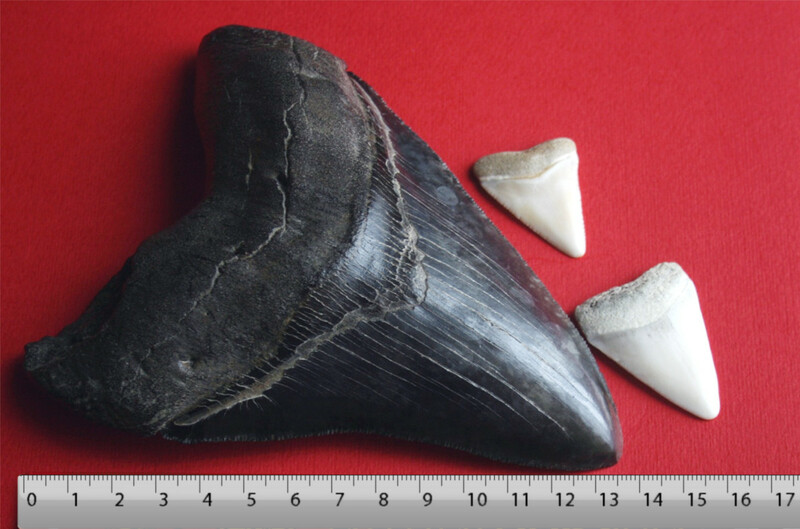 The Megalodon tooth just shows how massive these creatures were. I love fossil hunting too.